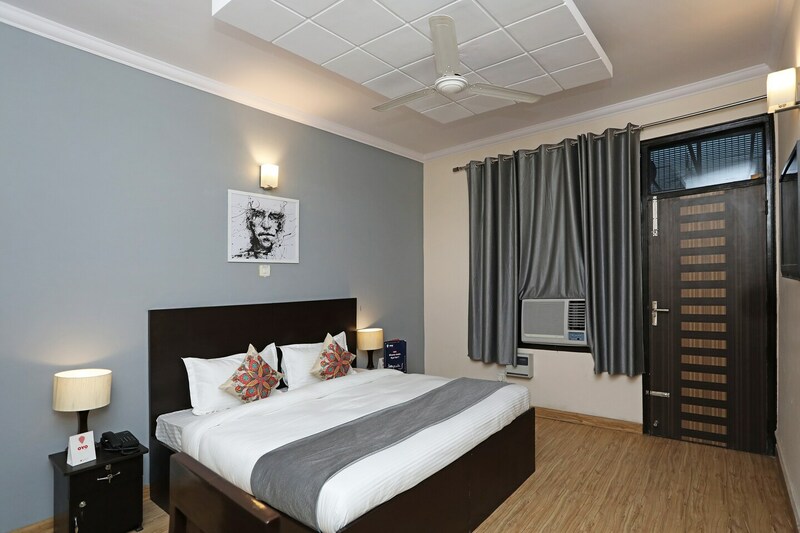 WhitePod Inn is an urbane property located on DLF Galleria Road in DLF Phase IV in Sector 28 in Gurgaon. The nearest metro station is MG Road Metro Station. Famous landmarks nearby are Kingdom of Dreams, Leisure Valley Park and Sheetla Mata Mandir. The modern property is located amid the hustle-bustle of Gurgaon city with several malls in the vicinity. The hotel is trendy, with well-furnished seating space. The rooms have AC, TV and free Wi-Fi. Additionally, the hotel also offers parking facility, laundry services, power backup, CCTV surveillance and a separate dining area. There are many restaurants in the vicinity of the hotel like Amex Tandoor, The Millionaire Express, Fig, The Empress and more. MGF Megacity Mall, Sahara Mall and DLF Galleria are malls nearby.